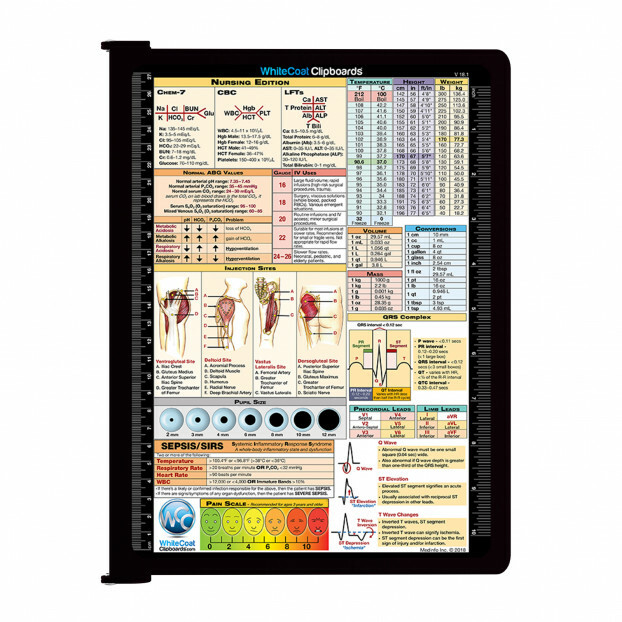 Full size folding nursing clipboard from WhiteCoat Clipboards. 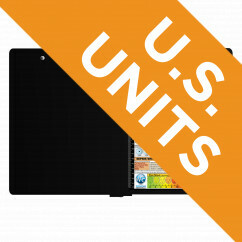 Available in multiple colors, this clipboard is perfect for securely carrying all your medical information and personal documents in a handy letter sized folder. Carry patient assessment forms, nursing protocols, medication lists, and all your documentation in a HIPAA secure clipboard. 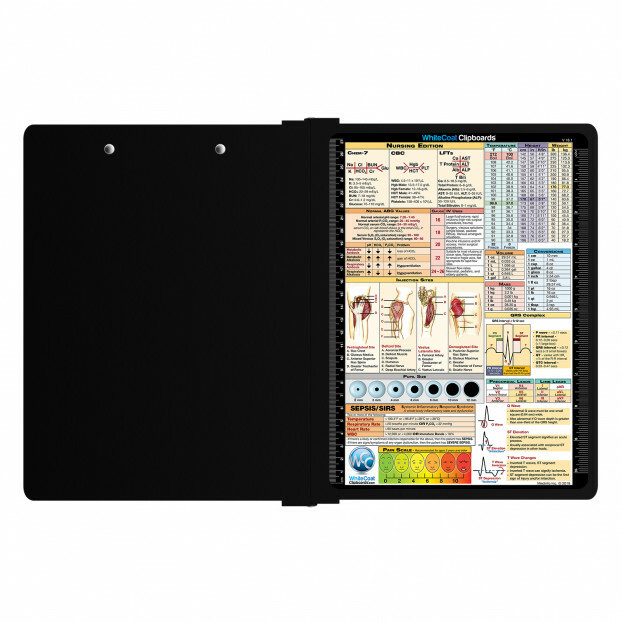 The clipboard also functions as a quick medical reference guide with detailed day-to-day information such as basic laboratory values, acid base determination, injection sites, pain scale, and much more. To see all the nursing specific information on this clipboard, hover over the clipboard images above to display high resolution details.